At the Young Firm, we are proud to represent maritime workers who are injured on the job. 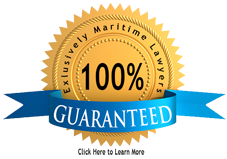 Maritime law is a unique and complicated area of the law, and our attorneys are vastly experienced, trained, and knowledgeable in handling maritime claims. Our firm also represents people who are hurt in recreational boating or diving accidents or who sustain injuries on cruise ships at sea. If you have been injured in a slip and fall accident on a rig or vessel or suffered a devastating brain or spinal cord injury while working offshore, attorneys from the Young Firm are here to help. Our dedicated, aggressive, and experienced attorneys can help you receive a financial award to cover your medical bills, pain and suffering, and other damages which resulted from your personal injury. Know Your Rights? Take Our Maritime Quiz on Your Rights! Contact the New Orleans, Louisiana personal injury and maritime lawyers at The Young Firm, serving victims throughout the Gulf Coast. Welcome to The Young Firm. From our New Orleans, Louisiana office, our maritime lawyers represent injury victims just like you throughout the Gulf Coast. Since the establishment of our firm, our attorneys have been exclusively engaged in the practice of personal injury and maritime / admiralty law. You have only one chance to pick the right lawyer. Contact us today. Throughout its history, our firm has remained true to its guiding principles, placing the needs of our clients like you above all else and preparing the strongest cases possible on their behalf. We have obtained millions of dollars in verdicts and settlements on behalf of the injured and take great care to ensure that all of our clients receive personalized attention. We are proud of our past successes and the reputation for excellence we have worked hard to build. You need attorneys you can trust. In our video library, you can view testimonials from some of our clients who trusted us with their cases ... and they are glad they did. Each maritime and personal injury lawyer at The Young Firm uses his or her legal skills and intimate knowledge of the law to help victims obtain the compensation which is due to them. If you have been injured as the result of another party's negligent actions or willful misconduct, you may be entitled to damages. Contact our New Orleans, Louisiana personal injury and maritime lawyers to schedule a free consultation today. We serve clients just like you throughout the Gulf Coast region, including Louisiana, Mississippi, Florida, Alabama, and Texas. 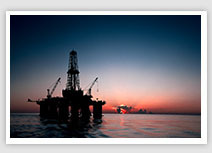 We have handled cases against Diamond Offshore, Transocean, TODCO, Edison Chouest, Tidewater, Horizon Offshore and many, many other marine companies. Your case is too important to let an inexperienced lawyer handle. We know maritime law and you can benefit from that knowledge. At The Young Firm, maritime law isn't just another practice area; it's what we do. We have been representing injured seamen and maritime workers for more than 40 years. Our maritime lawyers handle claims on behalf of injured oil rig workers, vessel workers, longshoreman, harbor workers and shipyard workers. Each year we successfully resolve, through trial or settlement, most of these cases. Maritime law is complicated. Let us explain your rights and the steps you should take for your best possible future. If you have been injured and believe you may have grounds to file a maritime or admiralty lawsuit, contact our New Orleans, Louisiana maritime lawyers. We have secured damages for clients injured on oil rigs off the Gulf Coast, on vessels in the Gulf of Mexico and on the Mississippi River, overseas in the Middle East on Malaysia and on cruise ships. Regardless of the circumstances surrounding your claim, we will work tirelessly to help you obtain the compensation to which you are legally entitled. In all cases, our maritime and personal injury lawyers work on a contingency fee basis, which means that we will collect attorneys' fees only when you are compensated. If you have been injured, contact our New Orleans, Louisiana personal injury and maritime lawyers today. Serving clients throughout the Gulf Coast area, we have the skill and experience to help you obtain the justice you deserve and the compensation you need.